Based in the county town of Oakham, the Rutland Cider Company was formed in 2016 combining the Directors passion for the outdoors and growing their own produce, with the aim to produce the best range of natural and whole fruit based ciders available to the many pubs, bars and hotels in the Rutland area and beyond. Using the finest cider apples and pure natural fruit juices, our small but unique range of ciders evolved over months of trials and taste tests into the wonderful quintessentially British flavours you see today. 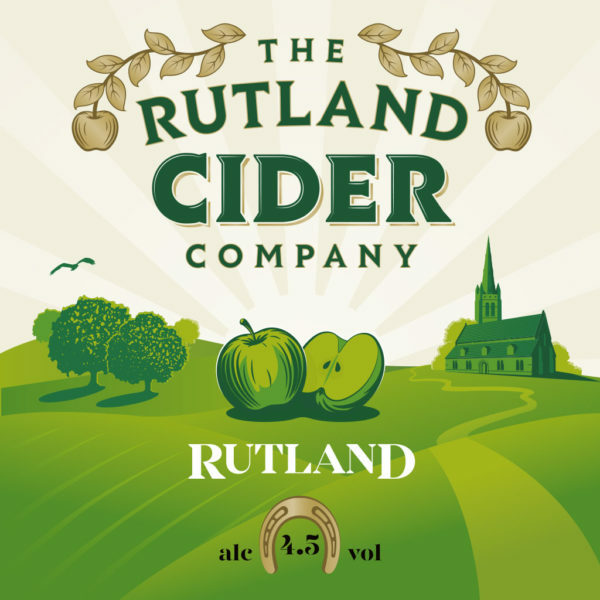 A beautifully blended medium golden cider with a well- balanced finish and a heady aroma of crushed apples on the nose. Currently available to buy as a 20 litre (just over 35 pints) bag-in-a-box at £80. Orchard and garden combine to give a unique taste of summer. A medium cider with the subtle tart of rhubarb and the sweetness of strawberries. The hedgerow, garden and orchard combine to give a quintessential taste of the English countryside. Lovely aroma of crushed raspberries and blackberries on the nose. Exotic mango and cider combine to provide a unique tropical taste to craft cider.